Sign up for our Newsletter, which informs you about our activities, workshops, casting and production news. There are many ways in which you can help support our workshops and production of Una fiesta para Boris. Copyright (c) 2010-2019 Una fiesta para Boris. All rights reserved. 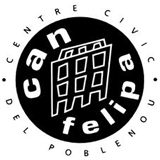 Design by Olelé.